The Willow & The Builder is an indie folk duo straight from Connecticut. Their music intertwines carefully sculpted melodies with gorgeous lyrics ready to wake up all of the winter spirits from the deep sleep. Released in October 2011, this 8 track self-titled album is filled with mesmerizing sounds of violin, trombone, viola, flute, trumpet, and masterfully sequenced drum additions, that should not be missed by anyone in need for some quality indie intervention! So here goes the story: “Over several windy winter weeks, Richard Miron and Adrian Simon set about crafting a collection of songs and stories about growth, sorrow, trees, and the determination to create happiness from the world that surrounds them.” The collaboration turned into a wonderful 8-track album that the duo soon decided to share with their fans as a free/name-your-price digital download. The great thing about this release is that its by no means static. Its sounds skillfully move between the more vocal and acoustic folk pieces to rich in lush melodies indie treats, from the upbeat and cheerful to the subtle and moving. The album starts off with Teahouse Treehouse, a heavy on the vocals and catchy choruses track that comes with some of the most upbeat melodies on the record. Heartache on the other hand sets its tone with the fast moving piano sequence, one that although might normally seem to be a little bit too much to take as it is repeating throughout the entire track, the addition of other instruments masks its intensity and blends it with the rest of album perfectly. And than comes Rosaline, stressing the theme of both sadness and growth, the track serenades us with acoustic guitars and lovely background vocals that just might make you sing again. That said, although the record comes with professionally arranged melodies, gorgeous instrumental solos, and on spot lyrics there is a certain feeling of inexperience to it. Could it be the vocals? Not sure. But as with every first official release comes an opportunity to grow even stronger, and I can not wait to see what will come next from the duo. Putting aside what was mentioned just couple of lines earlier, however, there is one song that seems perfect in every way. Cut It Down might be one of the most subtle pieces on the album yet it’s moving lyrics, spot on vocals, and beautiful instrumental work seem to go perfectly together. So go ahead and check it out. 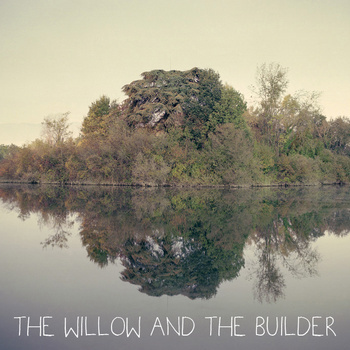 You can get your download at the official The Willow & The Builder BandCamp page.